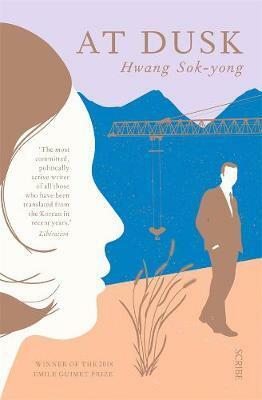 At Dusk is a small but powerful novel from one of South Korea’s most esteemed novelists. Hwang Sok-yong, born in 1943, has witnessed enormous political and historical change in his homeland and was a political prisoner for five years. He has won numerous literary awards at home and overseas, and At Dusk has already won the (French) Emile Guimet Prize for Asian Literature. The narrator of At Dusk, Park Minwoo, is a successful architect. We meet him when he is giving a guest lecture; at the conclusion a woman approaches him from the audience with a note. It contains the contact details of a woman he knew in his youth. Minwoo is in the ‘dusk’ of his life, and much of book focuses on the memories that emerge when he sees the woman’s details. We learn that he came from a poor family and grew up in a slum outside Seoul. His family cooked fishcakes to sell and worked extremely hard. Minwoo was studious and was able to keep studying at high school and university whereas most of his peers stopped school much earlier to help their parents’ businesses. This novel is a character study of a man who has achieved all he thought would satisfy him, and a portrait of a country rushing to ‘catch up’ after turbulent times. As Minwoo reflects on his personal life and the people he grew up with, he realises how his ambition has perhaps blinded him to others’ concerns and priorities; even those of his wife and children. Neighbourhoods like the one he grew up in have disappeared, and it is his company and the often-corrupt construction companies they work with who have robbed people of homes and livelihoods to make way for ‘development’. The questions At Dusk raises are timeless, and perfect for more serious book-group discussions.